Our guide to Milwaukee will help you find the best breweries in Milwaukee Wisconsin. A friendly Midwestern atmosphere prevails in Milwaukee, which is not so much a city as a large collection of neighborhoods situated on the shores of Lake Michigan. Wisconsin's largest city is an international seaport and the state's primary commercial and manufacturing center. Modern steel-and-glass high-rises occupy much of the downtown area, but they share the skyline with restored and well-kept 19th-century buildings from Milwaukee's early heritage. First settled by Potawatomi and later by French fur traders in the late 18th century, the city boomed in the 1840s with the arrival of German beer brewers, whose influence is still present. Milwaukee is known as a city of festivals, the biggest being Summerfest (the "World's Largest Music Festival"), held in late June and early July. There are tons of great breweries in the city of Milwaukee, our city guide will help you find the best breweries. You may have a hard time deciding what to do in Milwaukee, but we make your decision easy. Milwaukee became synonymous with Germans and beer beginning in the 1850s. The Germans had long enjoyed beer, and didn't waste any time setting up breweries when they arrived in Milwaukee. By 1856, there were more than two dozen breweries in Milwaukee, most of them German-owned and -operated. Besides making beer for the rest of the nation, Milwaukeeans enjoyed consuming the various beers produced in the city's breweries. Milwaukee, once home to four of the world's largest breweries incliding Miller, Blatz, Pabst and Schlitz, was the largest beer producing city in the world for many years. Despite the decline in its position as the world's leading beer producer after the loss of two of those breweries, its one remaining major brewery, Miller Brewing Company remains a key employer. Because of Miller's solid position as the second-largest beer-maker in the U.S., the city remains known as a beer town despite now only representing a fraction of its economy. Besides Miller and the heavily-automated Leinenkugel's brewery in the old Blatz 10th Street plant, the only other currently operating stand-alone breweries in Milwaukee are Milwaukee Brewing Company, a microbrewery in Walker's Point neighborhood, and Lakefront Brewery, a microbrewery located in Brewers Hill. 1120 S Barclay St, (414) 383-6900 - Horney Goat Brewing Co is a brewery located in Milwaukee WI. 3838 W High Life Pl, (414) 931-3900 - Leinenkugel Brewing Co is a brewery located in Milwaukee WI. 5800 N Bayshore Dr, (414) 332-3325 - Scott's Brewery is a brewery located in Milwaukee WI. 917 W Juneau Ave, (414) 278-8396 - Pabst Brewing Co is a brewery located in Milwaukee WI. 233 N Water St, (414) 226-2337 - Milwaukee Ale House is a brewpub located in Milwaukee WI. There are plenty more breweries in Milwaukee. 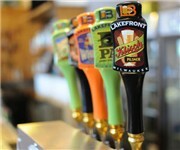 See all breweries in Milwaukee Wisconsin.